How to make purchase request approval process more comfortable to use? Purchasing Manager’s day is full of efforts to handle purchase order requests, verify the details of requisitions, ensure policies compliance, correcting errors and finding out what went wrong. It is hard work and we should do something about that. Do you often need to approve a purchase? Does it cause delays when someone is on vacation or out of the office? Have you tried to use purchase management software and been disappointed? Do you still exchange files by email instead of using traceable online items for each purchase? If you have answered yes at least twice, we have good news for you: you’re about to discover an online solution that can finally streamline your purchase request approval process, get rid of manual errors correction, and make your work transparent and more efficient. 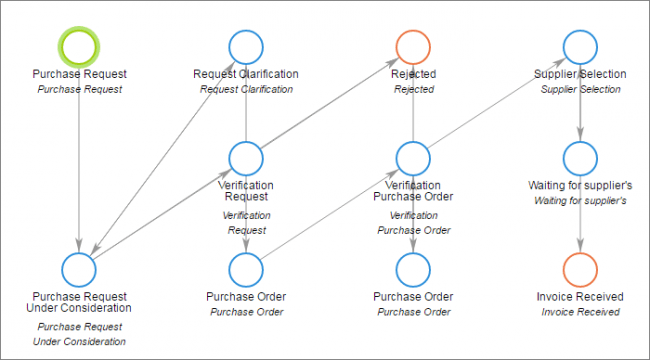 The automated purchase request process template is fully customizable with simple drag and drop. You need to have administrator rights to have access to this function. Stored in the Cloud, if you choose the SaaS implementation, your purchase requests are all available online at any time: thus no important financial data can be lost or forgotten. Role-based access to the workspaces makes it possible to share specific parts of work data with specific employees. The strict rules of the purchase request approval eliminate the possibility of unapproved purchases. The streamlined automated process reduces paperwork and sends notification to relevant team members at the right time. With online automated purchase request approval workflow you never doubt whom you need to go with your request for approval, you don’t need to ask someone: the request goes to the right person, carried by Comindware Tracker finance management solution. This reduces time to process requests, eliminates mistakes and speeds up your work. Save time on formalities, clear your agenda for more meaningful activities rather than paperwork. Comindware Tracker finance management solution comes with a set of templates for different financial activities and you can try all of them for free during 30 days. You are one click away from obtaining your trial keys for the product.